RainSaucer - El Niño or not, get ready to catch rain CA! El Niño or not, get ready to catch rain CA! Ben Franklin once said “When the well runs dry, we know the worth of water.” In California, we see this wisdom unfolding each day the Drought worsens as residents take action. Lawns are brown. Sprinklers are being replaced with drip irrigation. New home appliances and toilets have been upgraded to more water efficient models. All with good results so far- water use in California was down 29% in May, 27% in June, and 31% in July. Californian water utilities and their residents seem determined to meet the State Water Resources Control Board mandate for a cut of 36%. On the water supply side, we have further reason to be optimistic. This is our El Niño year meaning heavy rain is expected across the State. 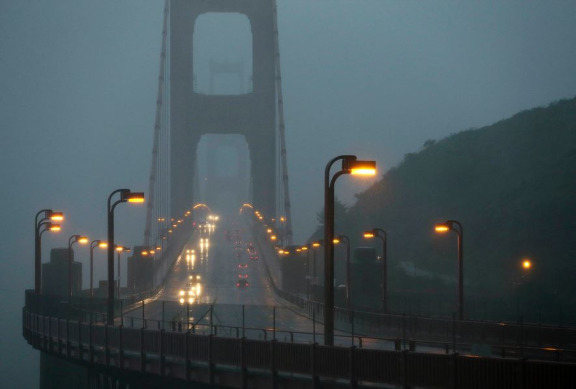 During the El Niño winter of 1997-98, 47 inches of rain fell in San Francisco, more than double the average. An above average rainfall this year would replenish reservoirs, restore our lawns, and reduce our collective angst. Unfortunately, El Niño is unlikely to end our problems with Drought. The rainfall deficits of the past few years are simply too large to overcome in one season. The rainfall deficit has equated to massive pumping of water from California’s aquifers which cannot soon be replenished. According to the U.S. Geological Survey it would take at least 50 years for the Central Valley’s aquifers to naturally refill. But that’s only if we stopped pumping groundwater immediately. Let’s face it - once the well is dry, new solutions are required. The free recycled water programs we now see popping up across the State are one step in the right direction. We see an increasing number of residents driving around in trucks with 270 gallon tanks in the back filled with grey water, perfect for landscaping. But recycled water has its limitations- mainly that it’s not convenient to keep driving back and forth with such a heavy load. A truck or trailer is also a must. Fortunately, another solution is on its way. When the rains come we just need to be prepared to catch it. Rainwater harvesting, as it is called, is an ancient technology implemented with little effort and cost but with fantastic results. A typical 1,000 square foot roof in the Los Angeles area for example would have generated as much as 5,000 gallons of water this past year, even under drought conditions (it still rained 8.5 inches). Even better, the rain did not come just in the Winter months, as it rained all the way into June. Some residents who collected rainwater this past year were actually able to water their garden from April through August- with just stored rainwater. For residents who already have large water storage capability from their use of recycled water- it’s a simple next step. Accessories on the market make it easy to hook a tank up to a downspout or even let it collect rain standing alone. For those without drums or containers, call your local water Utility and see if they offer rain barrels for sale (at a discount) or other rebates. In addition, the guidance and resources of the non-profit ARCSA (American Rainwater Catchment Systems Association) would be helpful to any rainwater harvesting implementation.